It’s that time of the year when you can almost smell summer in the air! Time to perfect some pizza ideas. Pizza tastes superb with a few finishing touches: freshly ground black pepper, a sprinkling of sea salt, a handful of mozzarella and grated Parmesan, then garnished with fresh herbs and rocket to serve. 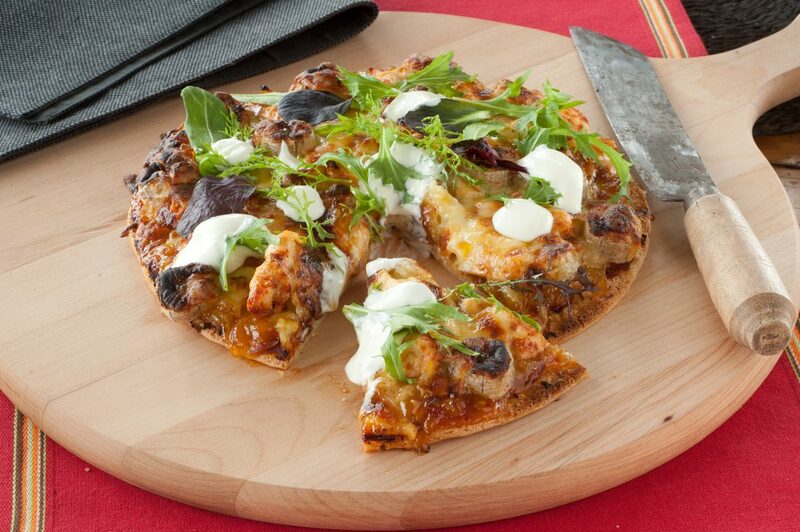 Anathoth Farm chutneys and relishes are gluten free, however pre-made pizza bases aren’t always. Look out for gluten-free wraps for a thinner but delicious alternative.